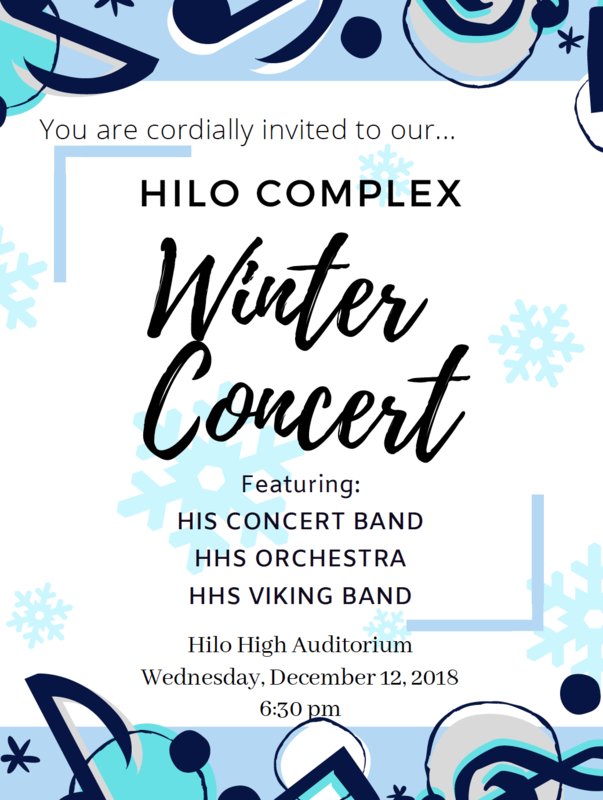 You are cordially invited to our Annual Hilo Complex Band Winter Concert! The show begins at 6:30pm at the Hilo High School Auditorium. Come and enjoy an evening of Holiday Cheer as the Vikings and the Spartans entertain.